Book DescriptionIdeal for those wanting to understand the basics of the Ruy Lopez. The Ruy Lopez is one of the most famous of all chess openings. It has a long and distinguished history and has been played by virtually all of the strongest Grandmasters: Fischer, Karpov, Kasparov, Kramnik, Anand - the list goes on! From very early on White activates pieces, takes the initiative and sets about building a dominant centre. 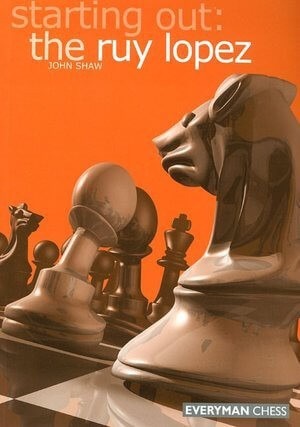 In this user-friendly book, author John Shaw goes back to basics, studying the fundamental principles of the Ruy Lopez and its many variations. Throughout the book there are an abundance of notes, tips, warnings and exercises to help the improving player, while key strategies, ideas and tactics for both sides are clearly illustrated.